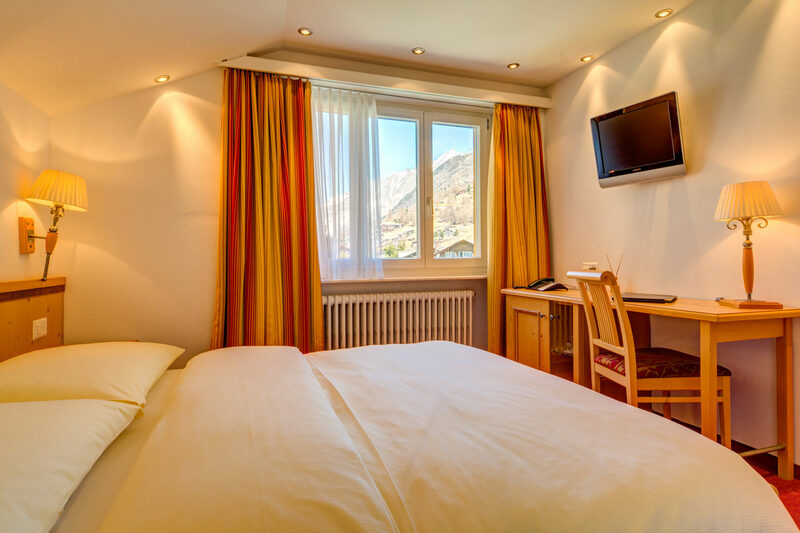 New de luxe double room on the south side with a fantastic view to the old part of the village and of the famous Matterhorn, minibar, TV/radio, phone and safety box. 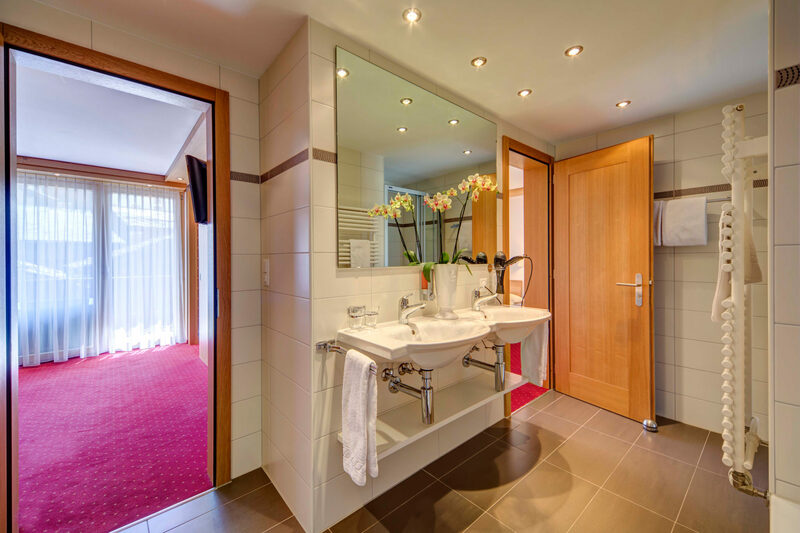 Separate toilet and bathroom with bathtub or shower and make-up table with a mirror. 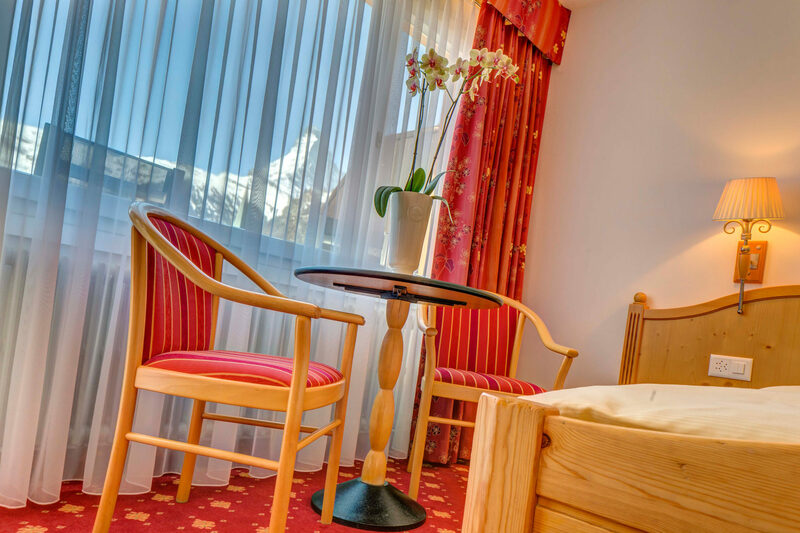 Nice double room to the south with balcony and a nice view to the Matterhorn with TV/radio, telephon, minibar, safety box and balcony. The renovated bathroom with bathtup or shower /WC, hairdryer and towel heating. 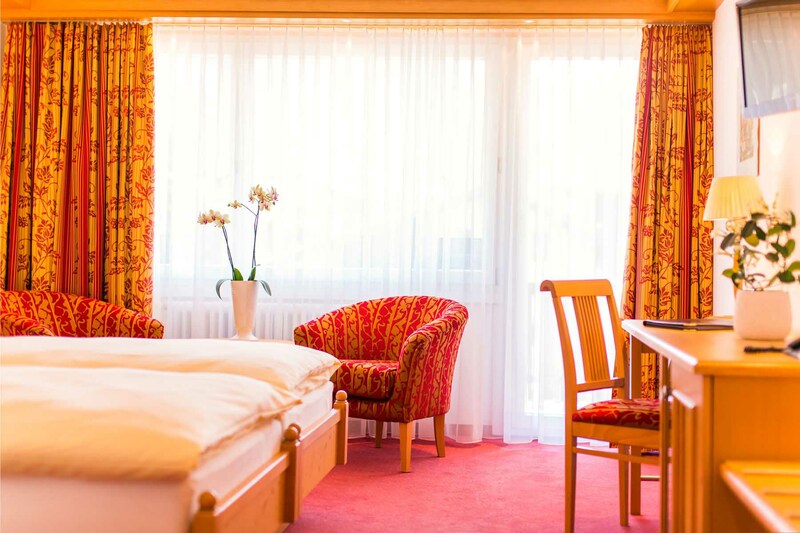 single room to the north with TV/radio, telephone, minibar, safety box and bathroom with shower/WC and hairdryer. 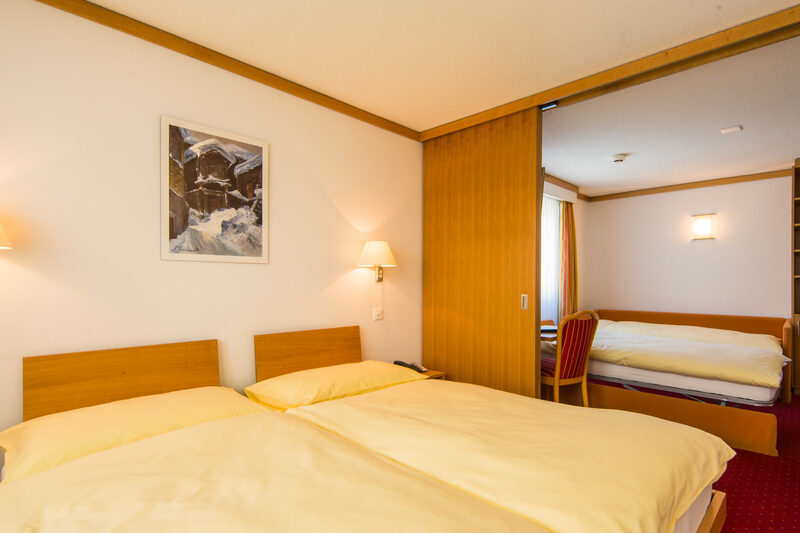 Junior suite with seperate bedroom with two beds and balcony a sliding door to the small living room with couch, TV/radio, telephone, minibar and safety box. Large bathroom with shower/WC, towel heating and hairdryer. 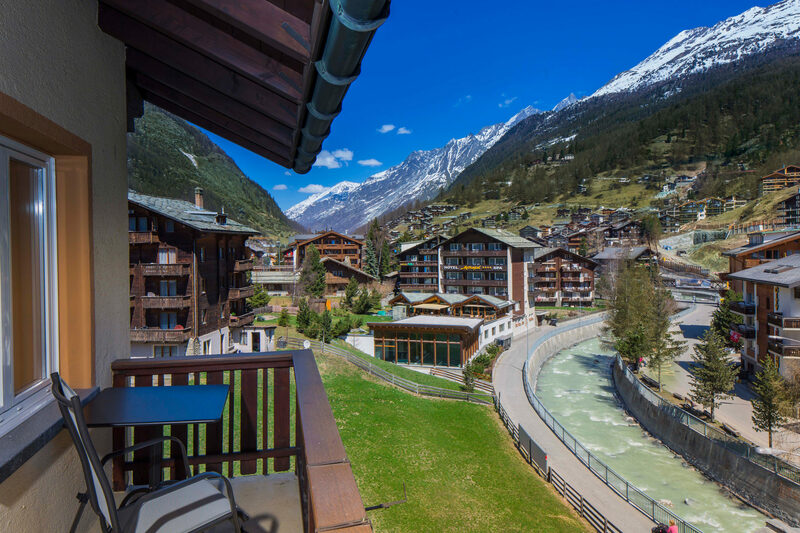 Suite to the south view to the Matterhorn – with one separately large bedroom with TV/Radio and balcony. Sliding door to the living room with couch, TV/Radio, telephone, minibar, safety box and balcony. 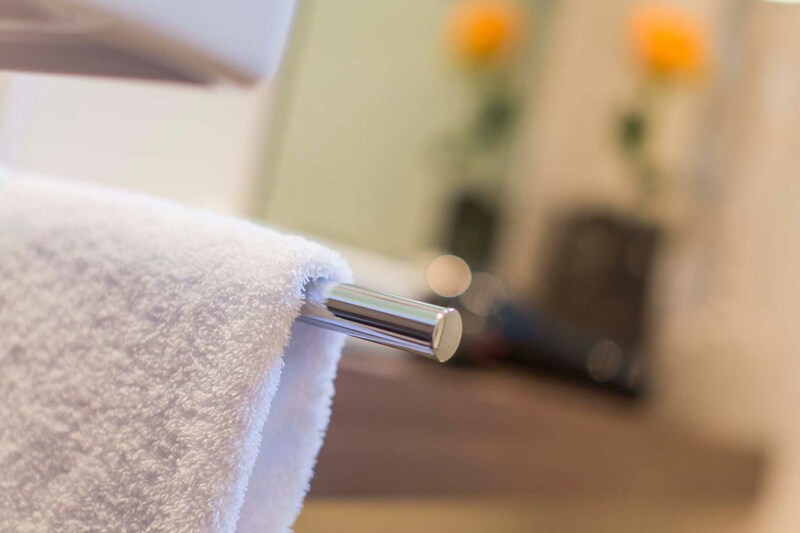 Large bathroom with shower and bathtup/WC, hairdryer and towel heating.